The seven members of BTS now have the sort of unfettered global influence that fashion houses dream of. 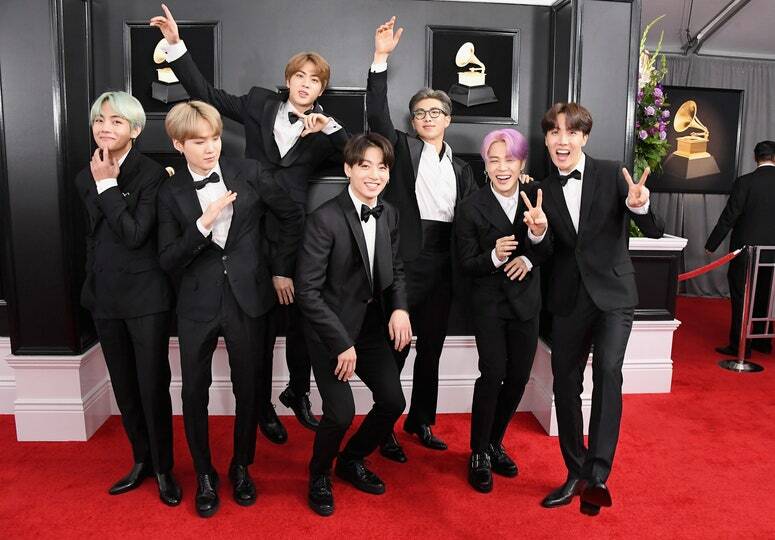 When it was announced that the K-pop super group would be attending the Grammys, one immediately wondered what statement they would make with their clothes. Would it be Dior by Kim Jones, whom the boys just got in Los Angeles? Or would it be Gucci or Saint Laurent, with whom they had partnered before? Any designer with the faintest inkling of BTS's fame should jump through them. Moments ago, the band arrived on the red carpet in very crisp and clean tuxedos. At first glance, one might think it the obvious choice; A black tuxedo is the absolute epitome of classic American style. But BTS subverted this stereotype into one simple stroke by enlisting two South Korean designers. JayBaek Couture delivered custom looks for V, Jungkook, Jin, Jimin, Suga, and RM, while J-Hope's came from designer Kim Seo Ryong, whose names tag has long been in Seoul Fashion Week. There is a strong domestic market for custom suits in South Korea, as the country's thriving entertainment industry leaves countless stars in need of occasion clothes. JayBaek Couture, for instance, often dresses actors like Hyun Bin for film premieres and K-pop stars like BTS and GOT7 for regional awards shows. Rarely, however, these designers are chosen for international events – and never one on the scale of the Grammys. It's always a brand with big name recognition, chosen to underscore that implicit quest for Western acceptance. Yet Jungkook, Jimin, Jin, J-Hope, Suga, RM, and V looked better than ever tonight, particularly those who had his hair on a pale mint green for the occasion (Jimin's lilac lengths made a nice complementary pop). 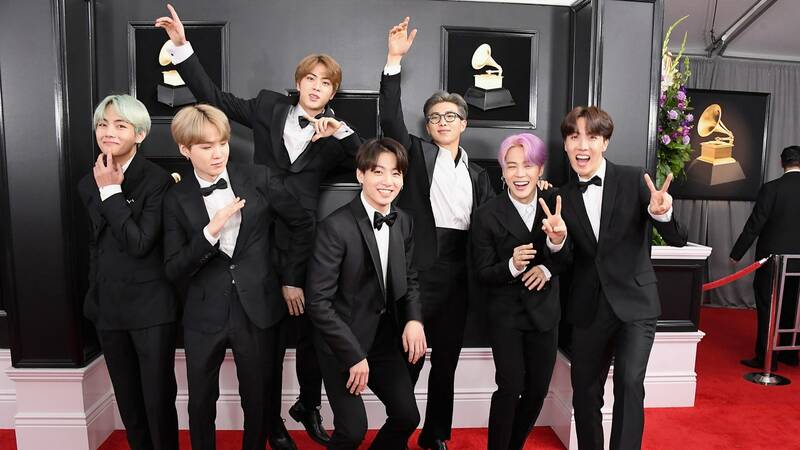 By choosing these respected, but lesser known names, BTS used their platform to shine a light on their countrymen. Consider it the ultimate power move and a poignant reminder: That whether it's fashion or music, talent can come from anywhere.